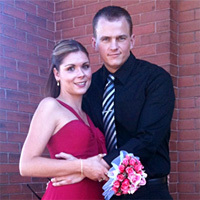 Congratulations to Kimberly Mueller & Shaun Cranley getting married on June 23, 2012 at the Irwin Inn in Peterborough Ontario! Congratulations Kimberly & Shaun! We have been the recommended DJ service at the Irwin Inn for years and I hope you check us out at http://www.macmillangroup.com or ask Patti or Jen about us! Have fun planning your special day!